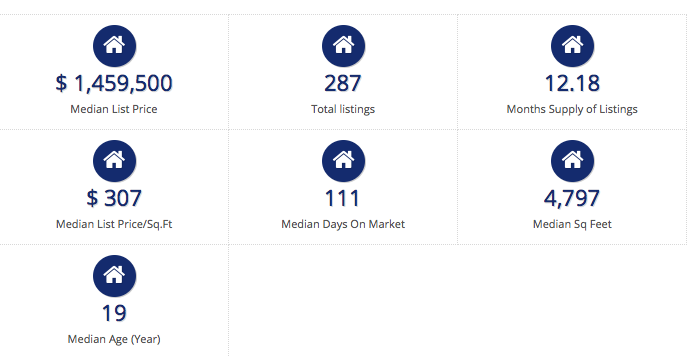 The low inventory of homes for sale in St Louis comes up today in most conversations related to the St Louis real estate market. St Louis home buyers have struggled to get to new listings quick enough, and then make strong enough offers, to successfully beat out the competition. Well, while that may be the story for the majority of the St Louis real estate market, that is not the story for the $1Million+ market. As the table below shows, there are currently 287 homes listed in St Louis County and St Charles County at a price of $1 million dollars or more which, based upon current sales rates, translates into more than a years supply. 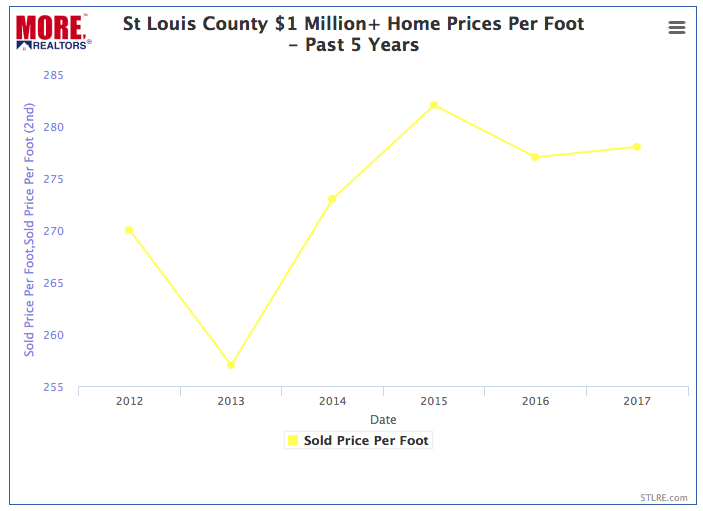 As the charts below show, the median price per square foot for $1 Million+ homes sold in St Louis county so far in 2017 is $278, just about the same as last year when it was $277. 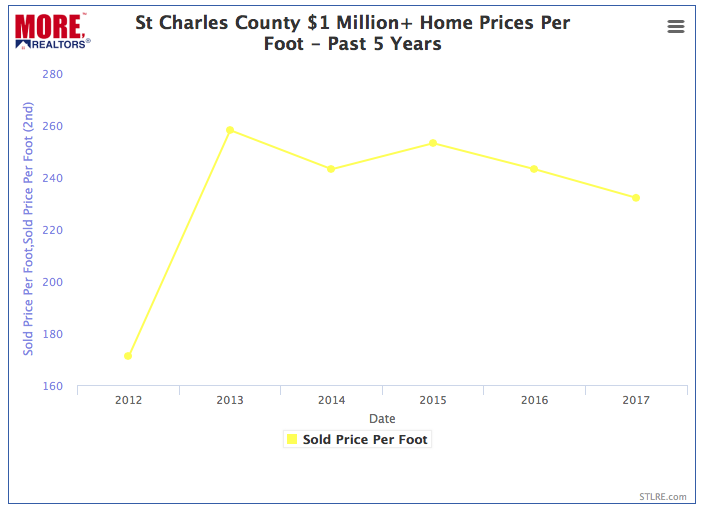 For St Charles county, for 2017 the median price per foot is $232, a decline of 4.5% from last year when it was $243. “Coming Soon” Listings – Good For Sellers Or Just Listing Agents and Buyers? Are Ranch Style Homes A Better Investment?